For starters it looks fab.....natural looking colours.....and comes in a 'cream to powder' formula making it very easy to blend. 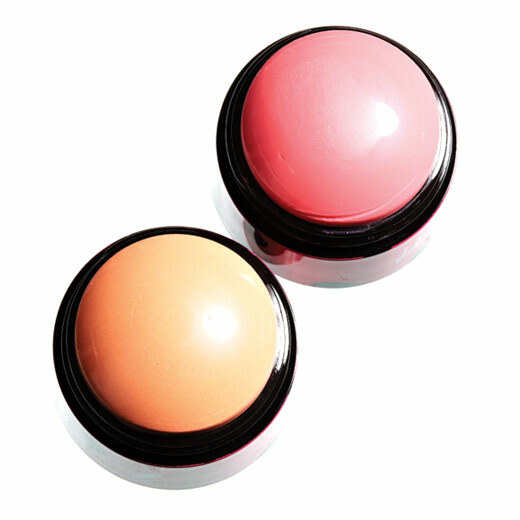 Simply dab the dome on either your lips or cheeks and your done! The bad thing is these babies won't be around for long as they are limited edition - retailing for £10 - grab one whilst you can!! Your wish is my command.....thanks for letting me know, i didn't even realise i had the verification enabled.....its a personal hate of mine!!! Ooh, these look amazing, but I'm on a spending ban...whhhyyy do they have to be limited edition!? Haha, whatever, I'm clearly going to end up buying one now. Ah no problem......lol i know what you mean...limited edition is like dangling a carrot...you just have to have it!! Iv never really worn blusher much but i was immediately drawn to these.....Body Shop you may convert me yet!!! Ooh they look like so much fun! I'm not a big blusher person, but I may well give this a go! Looks like it'll be great. I really like your blog and hope that you get a chance to check mine out too, and maybe even follow if you like it.